When I was a small child, I made an embarrassing statement in ignorance that I was quickly chastised for. After being taught the definition of the word ‘paralyzed‘; I soon followed with a wish to be just that. Horrified by my statement, my Mom, a young widow at the time, immediately corrected me. Once I fully understood the lack of wisdom in my reasoning I quickly apologized to God without her prompting, canceling the request; retrieving it from the atmosphere. Snatching it back from the sky with a vengeance. My rationale however? I just didn’t want to feel pain. I later learned. It’s a sign. It lets us know that we’re still here. No. We shouldn’t be gluttons for punishment or so used to it that abuse feels like love. But when we check out of life to the point that we’re going through the motions and sorting through our collections of masks to wear because pain has shut us down? Like a power outage during the worst of storms? When the pain is so bad we black out? So bad to the point that we can no longer feel? Background photo credit Pixaby. No copyright infringement intended. So good to hear from you Russell & I so appreciate your voice! 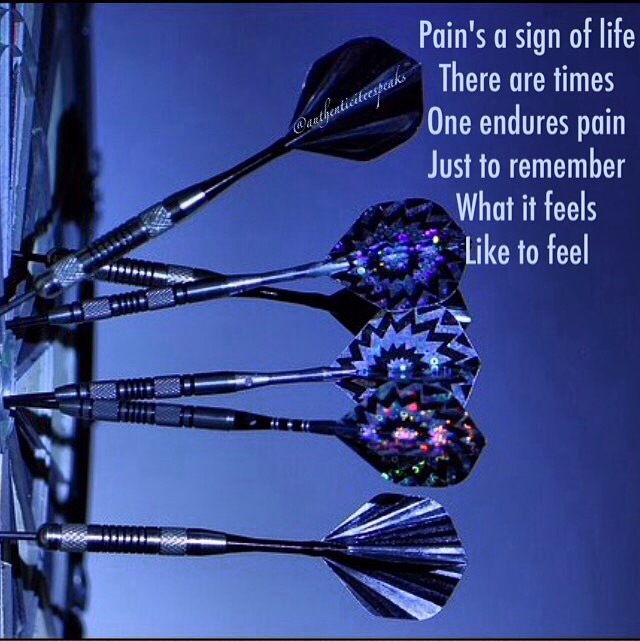 I know far too well what it feels like to feel numb…thanks for sharing this piece! Thanks much for sharing you childhood blunder. It is a great intro to this subject of pain. If you have an award free blog please accept the nomination as a token of my appreciation for your blog. Similarly pain of loss is the price of love. The risk we must take.